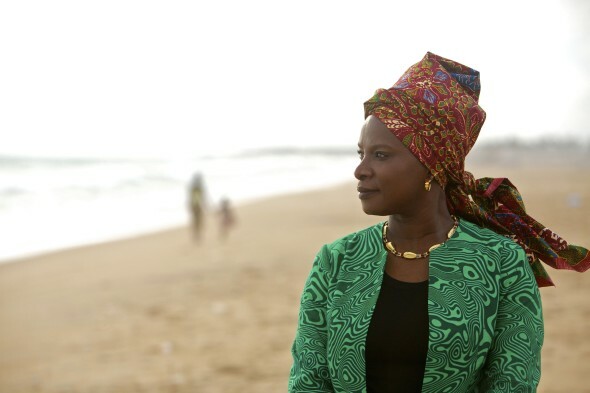 Angelique Kidjo won a Grammy award for her music. She is a writer and a UNICEF goodwill ambassador. Now she may write a cookery book. It is not surprising that she doesn’t want people to know her for one thing – she doesn’t want to be ‘put in a box’. Louise Gray talks to her. You left Benin in 1983 to study jazz in Paris. But later you found Africa in other places: in jazz music in France, then in the blues music of the US, in the carnival and candomblé of Brazil, and the salsa of Cuba. Does this show how strong African music is? Yes - exactly! And it also shows how strong people are. Slavery took away the rights and human dignity of African people. But they found a way to fight to keep their identity and pride alive through music. In a way it is the story of the master and the slave. People took away humanity from the slaves. Today the whole world welcomes the rhythms and the music of the slaves. In every country I visited in the Americas I felt at home, musically. I could start a conversation through songs, even when I was not speaking the language. You don’t like the words ‘world music’. Can you say why? It comes from a conversation I had with Miriam Makeba, the South African singer and civil rights activist. In a hotel room in Switzerland before a show, she said to me: Who invented the expression “world music”? Surely someone first called it “Third World music” and took away the word “third” to be politically correct! I think she was right. People like labels, but I don’t think music should be one thing - put in a box. But you can understand that it isn’t easy to put me in a box. In Africa you can’t separate singing, dancing, playing an instrument, and wearing a costume. They’re all part of the same thing. You could joke and say it is like a Broadway show. When we’re recording songs in Benin, the sound engineer always says to the traditional singers: You don’t have to dress up! But they feel they must. They always arrive with the most beautiful costumes. In your work respect for women is very important - their works, their creativity, their freedom, their bodies. What do you think are the greatest problems for women in Africa now? There are many problems. For example, the most likely person to have HIV is a married African woman. But I don’t want to speak only about their problems and their pain. I want to show their wonderful beauty and strength. My new album Eve is about this. I hope that when you listen to the beautiful African women singers, you’ll feel and enjoy their energy. In your book Spirit Rising: My Life, My Music you write about your father and his idea to have equality in education for boys and girls. Was he an unusual man in this way? I didn’t understand it at the time, but my father had great ideas. He fought against social pressure and put his three girls through school. He also let my mother have her theatre company. Everyone said to him: Franck, how is it possible for you to let your wife be so independent and do things in the arts? He said: A happy wife will make a happy husband! The work of your charity, Batonga, is now seven years old. What are you happiest about? Batonga is a small charity but I can to support girls from different countries in Africa. Always when I meet them, I feel so happy about what they have done and their strong feelings. I know they will be the leaders of Africa. You wrote about the terrible experiences of the women and children in the refugee camps of Chad, Sudan, and Uganda. Do you get angry? I don’t get angry – I get very sad. Poverty and war and bad business practices make so much terrible unhappiness and pain. But I believe that, one day, government and education will be better in Africa and make life better for the people. There are a few West African food recipes at the end of Spirit Rising. Will you write a Beninese cookery book soon? Well, the first idea was to make a cookery book that spoke about my life! Cooking for my family and friends is the other good thing in my life. So one day I am sure I will write a full cookery book. Louise Gray wrote The No-Nonsense Guide to World Music and she is the music reviewer for the Mixed Media pages in the New Internationalist magazine. This page was last edited on 18 April 2014, at 00:36.